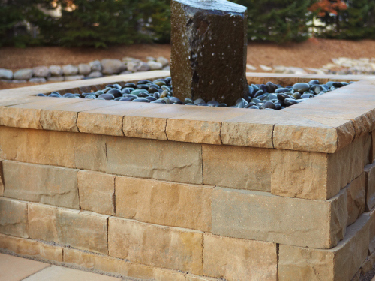 "The Brisa™ multi-piece wall system delivers the elegant look of natural split limestone for both retaining and freestanding wall applications. Perfect for most residential projects, Brisa™’s varied block lengths provide the ultimate degree of versatility: Brisa™ retaining wall can be used to create curved or straight walls, fire pits, outdoor kitchens, raised patios, steps, terraced walls and more. Brisa™’s free-standing wall system is a beautiful choice for courtyards, seating walls and water features."